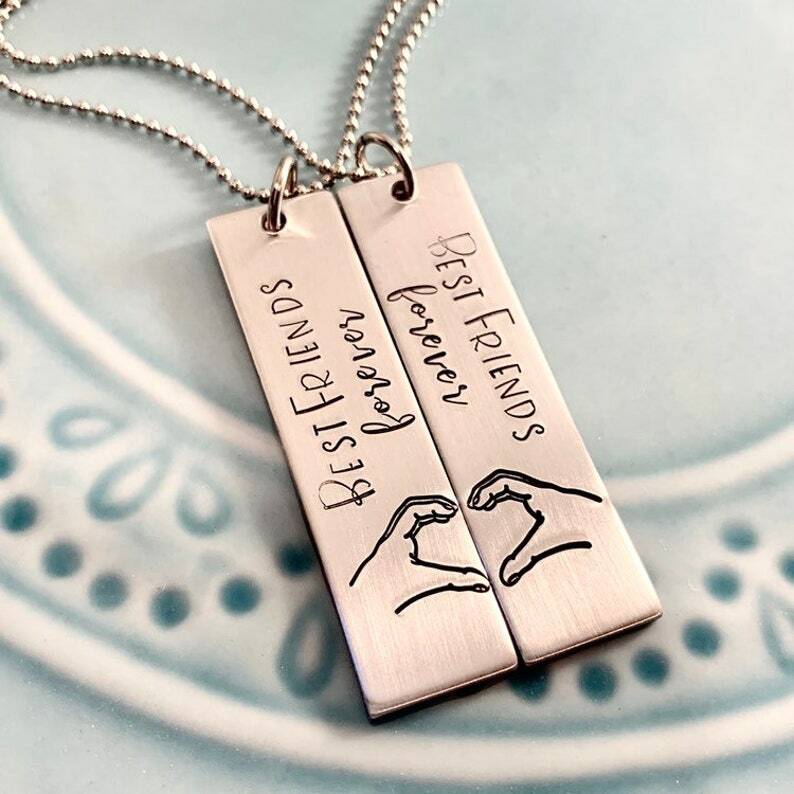 What a great necklace set for best friends to show their affection for one another. Price includes the 2 necklaces as shown. I can also do them as keychains, or mix and match with a necklace and keychain. Be sure to tell me in the notes section what your preference is. The piece measures 1/2 inch wide by 2 inches long. The metal is lightweight aluminum that does not tarnish. They come on 24" long bead ball chains in stainless steel with a standard ball chain connector. If you prefer a keychain, it will have stainless steel split ring hardware for durability.